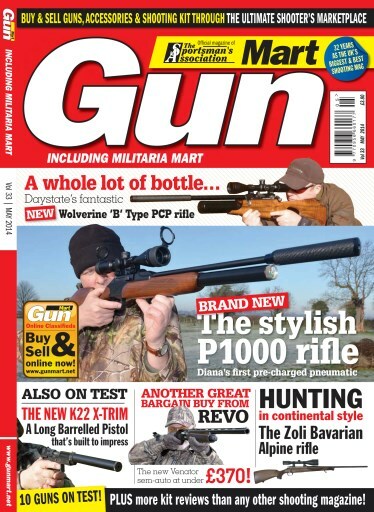 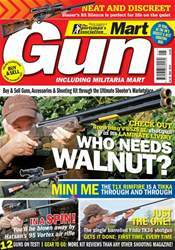 This month’s packed issue includes two new PCP air rifles - the exciting Daystate B Type Wolverine and the Diana P1000. 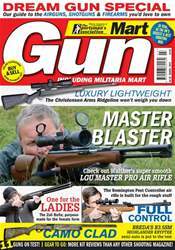 Amongst our many other gun tests we have the Revo Venator, a 12g semi-auto field shotgun for just £365.99, plus a look at the Italian made Sabatti CTS 12g Trap gun, Zoli’s Bavarian Alpine hunting rifle, the Winchester 94AE Trail’s End Takedown rifle and the upgraded Grand Power K22 X-TRIM .22 long barrelled pistol – plus a report on all that’s new in airsoft from IWA. 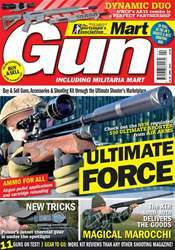 As for accessories, we assess the Vortex Viper PST 6-24x50 FFP EBR Riflescope, PROTSC Semi-Rigid Rifle Case, Flex Bipods, Predator Shooting Chair, Helle bush/survival knives, and much more.